Scott Galloway: “we must break up companies like Facebok and Google”. “SOLUTION 1” is structurally impossible to satisfy, on any centralized platform like Facebook. I explained why here. Solution 2 is, as they say, “not even wrong”, in several ways. Politically, it is just naive: “we Americans created a problem for the whole world, now please trust us alone to solve it”. Forcing Facebook to sell Instagram, or Google to sell Gmail, may be as effective as forcing Walmart to sell, as ONE company, the food part of its business. Food-only monopolists do not compete with non-food monopolists. They may not exchange customer data anymore (good luck with that), but what you get is two monopolies, instead of one, side by side in the same shopping malls. In general, you will accomplish very little by splitting non-interchangeable services, aimed at different demographics. Theoretically, yes, this could diminish aggregation of data. In practice, it may make even harder to control a landscape that has already reached “peak complexity” in data management. If Solution 2 is half naive, half ineffective, Solution 3 just gives me the creeps. All it does is replace corporations with governments. The potential for abuse, censorship and so on is all still there, just worst. Thanks, but NO thanks. The truth is that it does not matter who runs the show, or how many shows there are: solutions 2 and 3 merely replace really troublesome social media services with one or more instances of the same architecture that made those services troublesome in the first place. Breaking up tobacco companies in smaller companies does not make their cigarettes any less carcinogenic. This is why those solutions are useless. This, and the fact that much better architectures are feasible today. 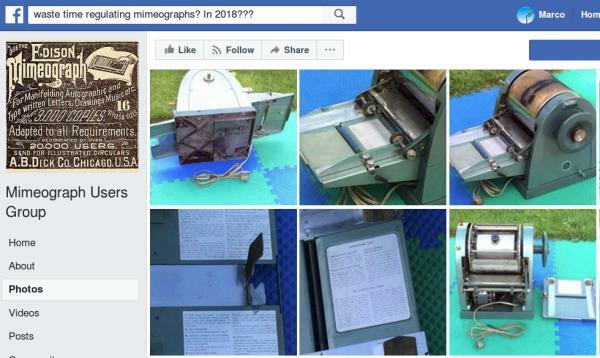 At this moment in time, forcing Facebook or Google to break up makes as much sense as forcing a mimeograph maker to break up, instead of making laser printers accessible to everybody. Even projects to “transfer data directly from one service to another”, like the one recently announced by Google, Facebook, Twitter and Microsoft, may do little more than facilitate the transfer from one Big Brother to another. All this brings us to decentralization, that is to elitism, equal opportunities and effectiveness. Decentralization? Yes, but for whom? The executive summary of the first part of this post is very simple: data concentration must not happen in the first place. Complete decentralization is the way to go. While we are at this, let me remind an extra, often overlooked but huge advantage of real decentralization: it puts free speech issues, and governance in general, back where they belong, and should have always remained: in courts of law. For details, see slides 8 to 11 of this talk. So, instead of private data, let’s make a public good of privacy and decentralization. In the right way, of course. No human being in that picture (or, for that matter, most senior citizens worldwide) has the “infrastructure” and skills to run their personal, always-on server. But you can bet everything you have that most of those same people do have a Facebook or WhatsApp account. Because it is the only way they have to stay in contact with family, friends and even job opportunities, even if they have no permanent address. Any real alternative to Facebook must be just as accessible. or read Benjamin Mako Hill explaining that “Google Has Most of My Email Because It Has All of Yours”. more avenues for discrimination and inequality: people with more education and money will have, in general, more data to sell, and more valuable, than others. So they may get better deals than poorer people, even on essential services and more often than today, exactly because they are richer (in data). It should be blatantly obvious, at this point, that I am available to speak, write or otherwise work on these topics. Just email me. But this has always been the case. The real reason for this specific post is to ask all the experts I have mentioned, and everybody else proposing the same solutions, to carefully re-evaluate them. Of course, any feedback by them or anybody else is very, very welcome! as far as we are concerned here, it makes no difference at all if one’s data are in her own physical server at home, or scattered/mirrored across the physical servers of some p2p network. A really scalable solution must work even when most users cannot contribute physical servers to the network.